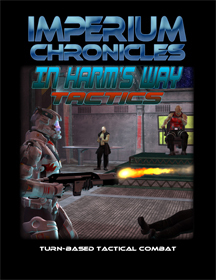 In Harm’s Way Tactics is a turn-based tactical combat game set in a science fantasy universe called the Imperium Chronicles. Up to five players choose from six different characters, each representing a class: Assassin, Duelist, Grunt, Medic, Officer, and Psi Mage. Each character class has at least ten abilities (powers) from which the player can pick up to five before each game. 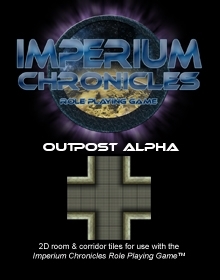 The game includes at least three ways to play, including quick skirmishes, missions, or a campaign. Solo play is also supported. 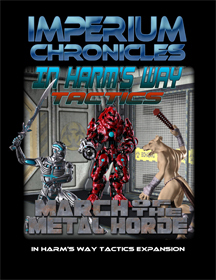 If you like In Harm’s Way Tactics, try the expansion March of the Metal Horde, which you can buy individually or as a bundle. In Harm’s Way Tactics uses the IMP System, designed to reduce the number of die rolls and speed up game play. All other calculations are done by referencing a chart of two opposing attributes (e.g. Accuracy vs. Agility). 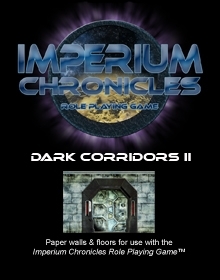 Posted in 2D Terrain, Core Rules, Paper Miniatures, Wargames.